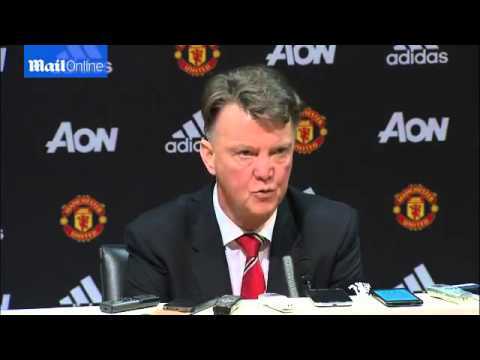 Louis van Gaal has denied the news about his possibility of resigning from the post of manager of Manchester United. He even hopes to survive in the Old Trafford until his contract expires. The issue that told Van Gaal offered a letter of resignation appeared after Manchester United lost 0-1 to Southampton on Saturday (23/01/2016). Van Gaal also had taken the time to return to the Netherlands and mentioned that he discussed with the family about his future. However, the news was denied Van Gaal. He said that he would still honor his contract at Manchester United to survive. Van Gaal said that he had signed a three-year contract here. He thought that team building it's a matter of process, it is not calculated based on one match. That is why Van Gaal wants to continue his career until his contract runs out. According to Van Gaal, when it signed a contract with the club, he always spoke at length to the management or the owners. It was not just done at Manchester United, but Bayern Munich and Barcelona. The coach whose contract will expire in June 2017 is also said that he was getting the confidence of the club officials. And they support him. According to Van Gaal, it is so natural if a coach under pressure. It was not separated from the expectations given by the management and also the fans. The Manchester United's report card under the control of Van Gaal is not too satisfactory. They just won 39 victories and 19 defeats in 78 games.